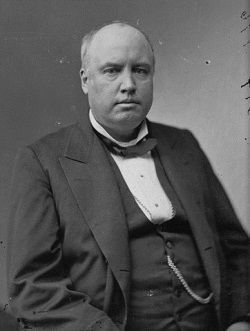 Robert Green Ingersoll (1833 – 1899) was, in his time, the greatest orator in the United States. He was also known as the “The Great Agnostic”. Yes, Ingersoll wasn’t a religious preacher, he was a preacher for freethought. Although he was popular with the public he also had to deal with criticism from the establishment which also included preventing him from trying for elective office. He is one Humanist you should know. He was the son of a abolitionist-leaning Presbyterian preacher, whose liberal views forced the family to move many times. It was the bad treatment of his father by members of the various churches he preached at, including full blown church trials, that lead Robert to agnosticism. So our fathers said: “We will form a secular government, and under the flag with which we are going to enrich the air, we will allow every man to worship God as he thinks best.” They said: “Religion is an individual thing between each man and his creator, and he can worship as he pleases and as he desires.” And why did they do this? The history of the world warned them that the liberty of man was not safe in the clutch and grasp of any church. They had read of and seen the thumb-screws, the racks, and the dungeons of the Inquisition. They knew all about the hypocrisy of the olden time. They knew that the church had stood side by side with the throne; that the high priests were hypocrites, and that the kings were robbers. They also knew that if they gave power to any church, it would corrupt the best church in the world. And so they said that power must not reside in a church, or in a sect, but power must be wherever humanity is — in the great body of the people. And the officers and servants of the people must be responsible to them. And so I say again, as I said in the commencement, this [The Declaration of Independence] is the wisest, the profoundest, the bravest political document that ever was written and signed by man. 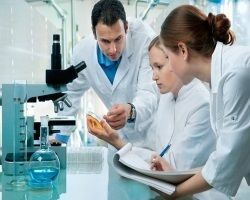 Reason, Observation and Experience – the Holy Trinity of Science – have taught us that happiness is the only good; that the time to be happy is now, and the way to be happy is to make others so. This is enough for us. In this belief we are content to live and die. If by any possibility the existence of a power superior to, and independent of, nature shall be demonstrated, there will then be time enough to kneel. Until then, let us stand erect. His writings and speeches have been preserved and available in various online sites. This entry was posted in Intro to Humanism, People and tagged agnosticism, church and state, freethought, history, humanism history, orator, speeches on April 22, 2012 by Doug.